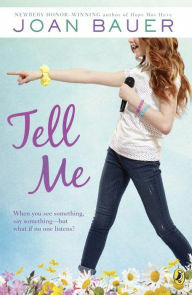 Recovery stories fill a special niche in the YA genre. The juxtaposition of a youth with a hospital setting and lots of physical therapy is a premium dramatic concept. One of my all-time favorite books (A Face First) dramatized the idea of a burn victim having to wear a mask on her face to help it heal. Faces are important to everyone but particularly to adolescents, so the idea of damaging it is captivating to a youthful reader. 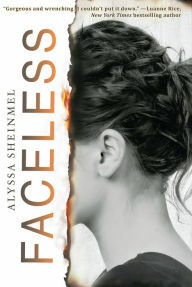 Alyssa Sheinmel's latest novel Faceless captures that same experience. Maisie has suffered severe burns on her face -- damage which is so extensive that it has destroyed parts of her. The only solutions are skin grafts or another more exotic solution: a face transplant. This procedure will replace parts of her face with the parts of a cadaver. With misgivings, Maisie opts for the procedure, knowing it will be ghoulish to be "wearing" someone else's face for the rest of her life. The novel itself traces the recovery process and the difficulties of adjusting to life as her family and friends each have to come to grips with the change. While the novel follows pretty familiar recovery territory (with plenty of grieving, anger, and acceptance to come down the pike), I liked it. Maisie can be awfully stuck on herself and convinced she knows what everyone else is thinking, but she reasons things out and her insights are fascinating to read about. Her friends and family are similarly multifacted and I enjoyed the growth in her relationship with her boyfriend Chirag and her best friend Serena, as well as her ongoing struggles with her mother. Sheinmel takes her time and devotes a lot of energy into these relationships, allowing us a number of different perspectives and, in the end, a fuller understanding of the ethical, moral, and emotional dilemmas of face transplants. 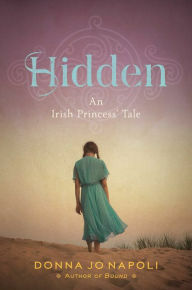 A companion to Napoli's Hush, this novel traces the adventures of Melkorka's sister Brighid from the time she escaped the slavers' ship (and managed to live amid the Norsemen of Jutland) until eight years later, as the head of a band of pirates, freeing slaves along the Baltic coast. Along the way, this action-packed adventure provides copious historical details about life in 10th century Scandinavia, ranging from domestic arts and beekeeping to political structures and social mores. Napoli always does great historical research to get her subjects right. But what makes her stories work best is when she is able to weave a compelling story to place into all that researched setting. One could fault her for some wishful modern sensibilities about the role of women, but nothing which clashes with or detracts from the story. The result is a beautifully-written tale about a strong and resourceful heroine with an ability to see far forward and change the lives of others. 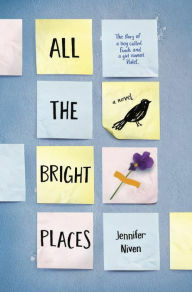 Anna's parents are separating and she is sent to spend the summer with her grandmother, who is herself embroiled in putting together their town's famous flower parade. As with all Joan Bauer heroines, Anna has a particular talent -- hers is acting. Whether it's being a gymnastic giant cranberry or a singing petunia, Anna knows how to find her motivation and move a crowd. But when she encounters a scared young girl who may be a victim of human trafficking, she's in over her head and it's time to call Homeland Security. And if you're confused by all this, you aren't alone! Joan Bauer, who excels at creating driven single-minded characters with quirky tastes, has created one of her most unfocused books. There are any number of plotlines here and most of them unravel before the book is done (most notably, the potential mean girl and nefarious entrepreneur subplots which fizzle away, but even the human trafficking story never really crystallizes). The end result is a story which never materializes, in striking contrast to Bauer's other novels. 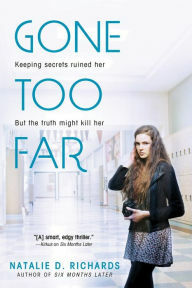 Running late for school one day, Piper comes across a mysterious notebook full of defaced photographs and coded accusations against people in school. Initially creeped out, Piper eventually becomes obsessed by the book and the various petty crimes it documents. Then a mystery person starts to send her text messages and asking her to finger people. That's when things start to turn freaky as the people she fingers end up getting their just desserts. While that is initially satisfying, Piper begins to get cold feet and the damage turns out to be much more serious than she had imagined. What started as some leveling of the scales of justice has turned into blackmail, deceit, and far worse. Borrowing a page quite liberally from Heathers, but without the black comedy, we have a classic story of revenge blown out of control. Piper is a believable young woman whose passion for justice slips into vengeance, without regard for the consequences. The fact that her adolescent mind then grossly overestimates her own importance is plausible and tragic. Thankfully, the adults provide a similarly plausible reality check. These are not terribly nice people, but they know their faults and the story has a very satisfying conclusion with a good last minute punch to the gut. 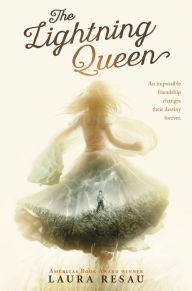 Since successfully acclimating to life in a small town in The Cupcake Queen, Penny's life has grown more complicated. There's dealing with her father (now that her parents are divorced) who can't make time to see her. Or the nasty bully Charity and the even nastier exchange student Esmeralda, who are both set on making Penny's life at school into hell. Or Penny's attempt to matchmake between her grandmother and an old flame. Or even Penny's struggles at getting her own romance off the ground. Throw in a winter festival, a fundraiser for the local animal shelter, some zany adventures at work, and a best friend's family problems, and life is pretty crazy! What it isn't, however, is organized into any sort of theme. There's plenty of activity and stuff to read about here, but nothing which gives this novel a purpose. And no matter how likable Penny is or readable the writing, that gaping hole is a big deal. Simply tying some of the various ideas together (for example, the importance of family or loyalty to friends) would have done a lot to improve the book. But aside from the fact that parents (and fathers in particular) come across as pretty horrible in this story, there isn't much here. When Nory fails her entrance exam to the prestigious Sage Academy, she is sent to her Aunt Margo's to attend Upside Down Magic (UDM) class at Dunwiddle. 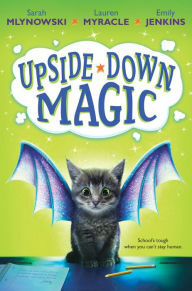 UDM is for kids whose magic is "wonky" (a not-so-PC word for the magic-challenged). Nory is a "fluxer" (shape-shifter) with an unfortunate tendency to have her shapes shift in unexpected ways. Her kittens grow beaver teeth and her skunks grow elephant trunks. But in UDM class, she's joined by "flare" (fire-maker) who freezes things, a flyer (clairvoyants) who can't help but float away, and other kids with unusual and uncontrolled talents. 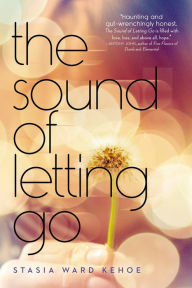 However, while Nory is finally among kids like herself, she longs to be normal and wants to find a way to cure herself. The first of a series that merges a Harry Potter magic school theme with that very American sensibility for celebrating diversity, and aims it at a younger audience. It's probably a winning formula and the trio of heavy hitters behind it is impressive. Much more impressive for me was that for a team-written book it was surprisingly difficult to identify each writer's contribution. Jenkins in particular has a very notable dry humor which permeates the story, yet Mlynowski and Myracle are formidable presence as well. I'm not a fan of middle grade series books, but I imagine this will be around for a while! Life in Daisy's house can be challenging. Her little brother Steven is autistic and he's not so little anymore. The family is proving less and less able of handling his violent outbursts. Daisy guiltily wishes that they had a "normal" family so that she could focus on her music and go out more often with her friends, instead of being forced to take care of his brother. But when her parents decide to institutionalize Steven, she feels even worse. What kind of horrible people are they to reject their own kin? She channels her anger into self-destructive behaviors (skipping school, etc.) and an aimless sexual relationship. I get the conflicted state of Daisy's mind over whether she wants Steven there or gone, but there really is no attempt to come to peace with the decision. Instead, she waffles back and forth and mopes. Nor does she ever really confront the other issues in her life (her relationship with boyfriend Dave, her applications to music schools, etc.). That lack of closure left me feeling like the story just sort of stopped and never properly finished, and while I got a clear sense of how difficult it is to have an autistic member in the family, I got no sense of growth or revelation. Finch is fascinated with the many ways that people commit suicide. Violet is living with guilt after the death of her older sister in a crash which Violet herself survived. They meet on a ledge high above the ground when Finch saves Violet's life after she reconsiders her own attempt to end her life. They bond. He's the school freak, bullied by other kids and generally misunderstood. She's the formerly popular girl who can't seem to get her life together. But together, Finch is able to get Violet to come out of her shell and she loves him for it. Unfortunately, her love is not enough to save him as his obsession with suicide becomes more engrossing and destructive. A rambling and somewhat disjointed look at teen mental illness. 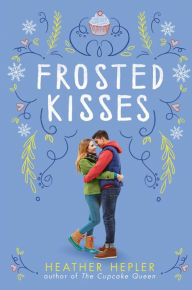 It starts off as a quirky romance that is filled with marvelous facts about the State of Indiana -- the kind of cute novel where oddball kids make appealing partners. But somewhere towards the end, Niven decides to take the story into darker territory and have Finch completely unravel. She claims in the Afterword that that was her intent from the beginning, but the story could have gone in many directions and it felt like a detour to me. And because of that shift, I felt like we lost a lot of Violet's story. I get that Finch's illness makes for a more dramatic ending, but it is the less interesting story in the end. When Papina and her troop of rhesus macaques is driven out of their home in the old cemetery by marauding gray langurs, no one can really know that this is the start of huge insurgency. But the success stirs the ambitions of a paranoid tyrant named Tyrell, who rallies his langurs into crushing their neighbors and sundering families and friends along the way. As they run out of external enemies, they they turn on their own, and even start to plot against the humans. It then falls on Mico, a langur initially enthralled under Tyrell's spell, to challenge the tyrant. This nuanced allegory about the rise of totalitarianism set amid the feral primates of Kolkata is one of the more imaginative books of the year. 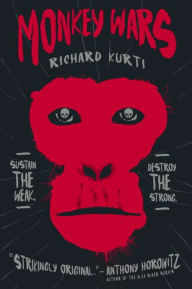 Superficially, it will call to mind the Planet of the Apes, but Kurti's writing is more informed by history. He makes numerous sharp observations about the psychology of terror and propaganda, and the way that totalitarianism both rises and falls. It's an extremely gory novel, but one with extraordinarily important observations to make about human behavior. This is a "boy" book, in the sense that it focuses on action, at the expense of depicting most emotional growth (with the important exception of Mico's emergence as a liberal thinker). Most of the characters die by the end, so it's best to not get invested (Kurti cruelly spends significant time developing characters who are doomed to be brutally murdered within a chapter or two). And the story is stubbornly androcentric. Females play bit (although sometimes crucial) parts in the story which is overwhelmingly about males posturing and jostling for authority and power. One could blame that on the species depicted, but it is a shame in a story which otherwise uses the primate cover as a thin veil for the human souls expressed. For modern day Marylander Mateo, visiting his grandfather Teo in rural Oaxaco, Mexico is an entirely different world, but one to which he looks forward every year. On his most recent stay, Grandfather Teo tells him a story from long ago about how he met a young gypsy girl names Esma ("the lightning queen"). Their friendship, challenged by distrust between two different cultures, managed to survive. Resau has a bit of niche writing rich stories about the indigenous people of Mexico that combine a Hispanic magical realism tradition with a modern kid-friendly sensibility. The results are wonderful novels where the story itself is less important than the characters. And thus a story synopsis cannot do justice to the immersive fun of the book which sends us to another world full of colorful characters and meaningful human relationships. This book does it all one better, bringing two very unique cultures together: the Mexteco people (of whom Resau has written before) and the less-known world of the Mexican Romani. Truth be told, I hadn't even realized that the Romani had reached the Americas and loved the idea of bringing them to light. While I might well have enjoyed even more about the gypsy caravan and its people, what is present is fascinating and interesting.